Aimee is a life-long native of Weber County. 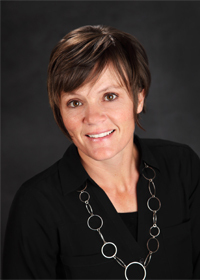 As a collegiate golfer at Weber State University, she received a bachelor’s degree in Elementary Education. Aimee soon discovered she had a passion for renovating historic homes, which led to her career as a real estate professional. She enjoys using her experience in the market and in-depth knowledge of the Ogden area to help clients find the ideal residential or commercial property. Aimee is engaged in the community and serves with several educational and philanthropic non-profit organizations. In her free time she likes to golf, mountain bike, fly fish, and ski with her husband and three children.